As a self-proclaimed fashionista, it is always my pleasure to see so many beautiful and stylish women in one place. From shoes to accessories to evening wear to chic, yet casual everyday looks, the 4th Annual Polish Fashion Show was filled with amazing style from the women who graced the runway, as well as those in attendance. Dallas fashion bloggers ripped the runway for Polish’s largest fundraiser of the year, showcasing gorgeous pieces from designers such as Dallas’ own, Abi Ferrin. “We don’t have professional models on the runway. We like to support Dallas and the local Dallas bloggers, Elizabeth Landry, host committee member.” Kendra Scott, Tee Chic, Lowe Co. and Rachel Creative had pop-up shops at the event. In addition to seeing unique and trendy fashion, attendees were able to do some shopping and enjoy great bites from True Food Kitchen. Now, let’s talk about the raffle. There were prizes galore from companies such as Sewell Cadillac and AT&T’s Byron Nelson Tournament. Raffle participants were given the opportunity to win prizes valued at over $600. So who is a Polish woman? She is a young professional who is good at her job and wants to connect with other women to discuss career and faith. 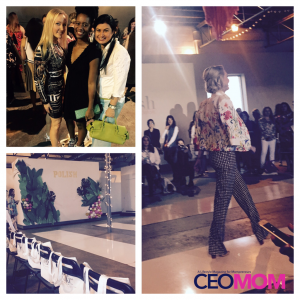 What better way to do that than at a fashion show full of women who well…love fashion. To learn more about Polish, visit http://www.polishonline.org. For a complete list of the fashion show’s partners and designers, visit https://www.polishonline.org/fashionshow2016. Read Kat Armstrong’s story in the premier issue of CEOMOM magazine. Subscribe today!